“Beechgate,” Englewood, New Jersey, 1918, a hand-colored glass lantern slide by Frances Benjamin Johnston, via Library of Congress Prints and Photographs Division. Some mid-week prettiness. . . . The four-acre garden was designed by Anna Gilman Hill about 1911. 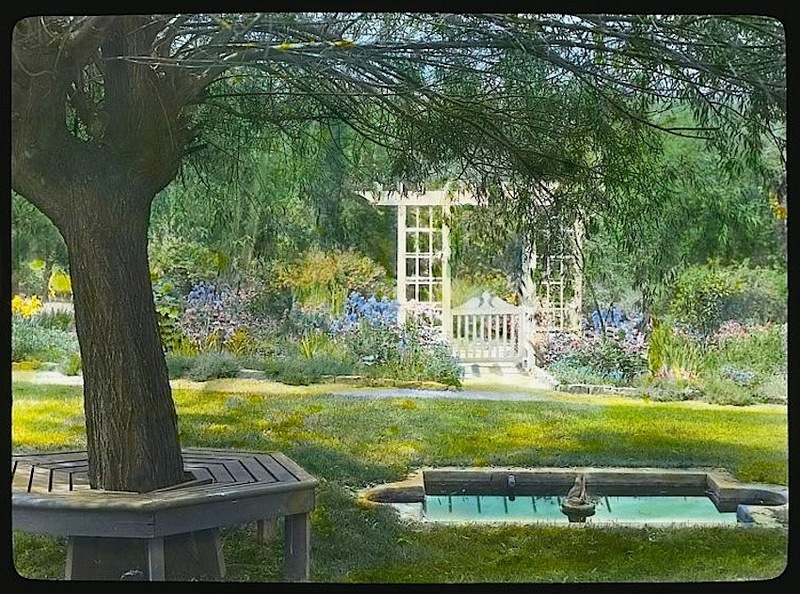 Hill and her husband also owned “Grey Gardens,” the East Hampton estate later famously inhabited by Edith Bouvier Beale and “Little Edie.” She was Director of the Garden Club of America for six years in the 1920s, and, in 1938, she wrote a book about her gardening life, called Forty Years of Gardening. You can read it online here.